Nice texture with a repeating patterns and diagonal line. Amazing shot – I love the coil-like appearance, reminds me of a tangled Slinky! So it is. 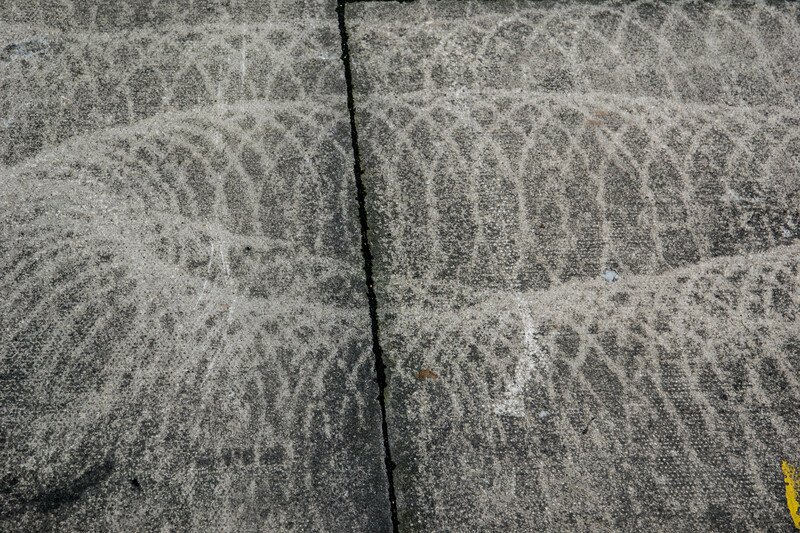 I would love to know what made the patterns – they were all over the pavement so obviously machinery but they appealed to me and so I share it. I wondered where they were. An unusually regular random pattern.